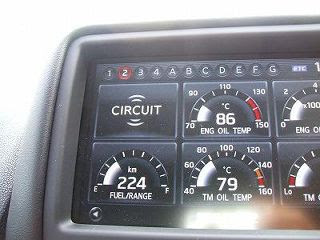 When you put it in circuit mode the ‘car’ says to you that when you crash the car on the circuit you will not get any warranty. So you will have to press yes or no if you want to continue to drive and agree to the terms. Tarzan Yamada drove the car to a 2:22.8 lap time. How does that compare to other cars at Suzuka ?